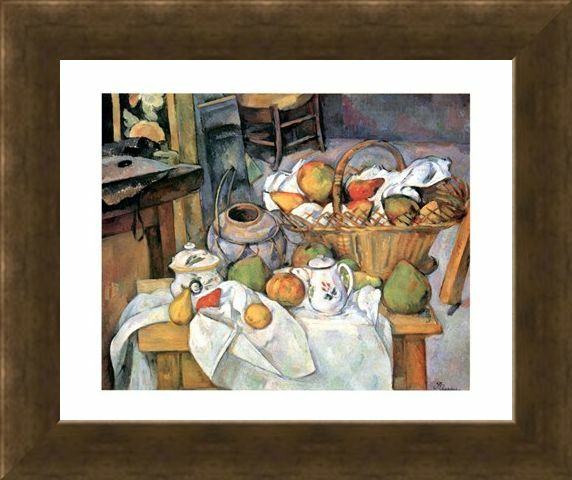 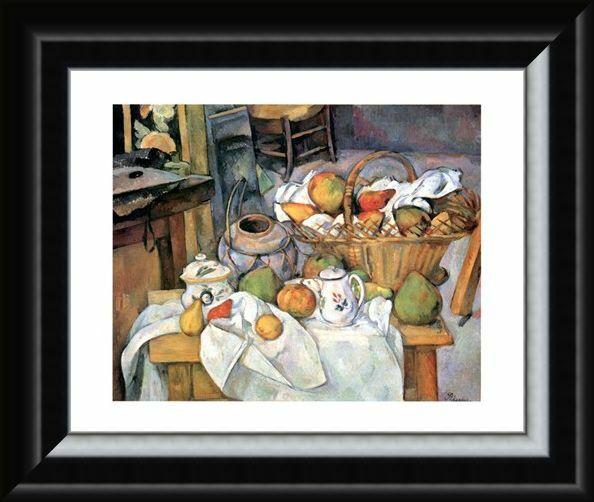 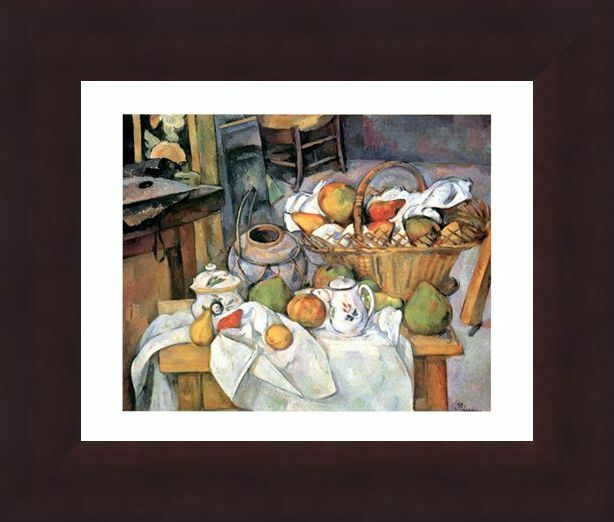 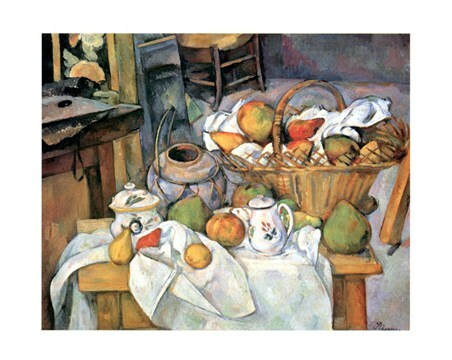 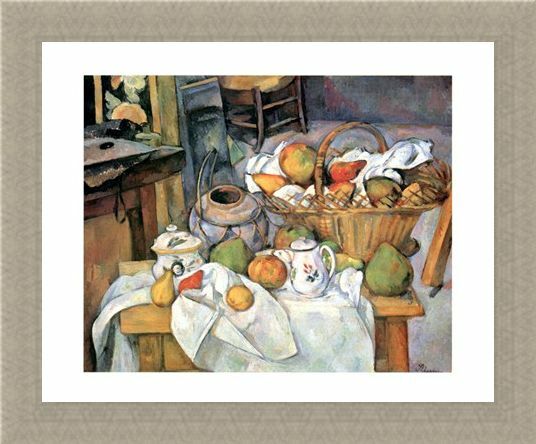 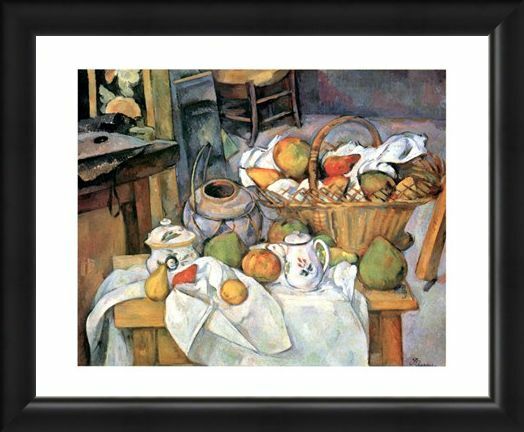 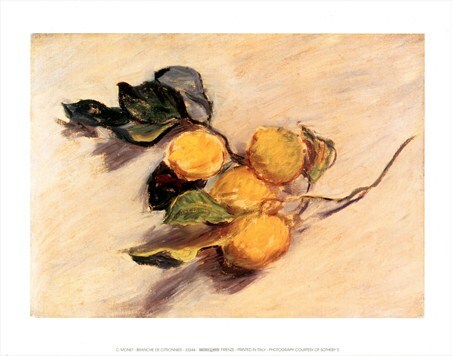 Art Print: This beautiful painting of sumptuous fruits in a delicate basket was created by French artist Paul Cezanne. 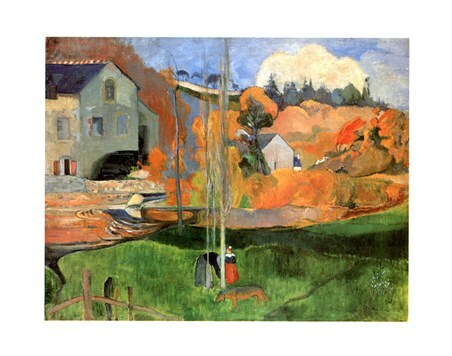 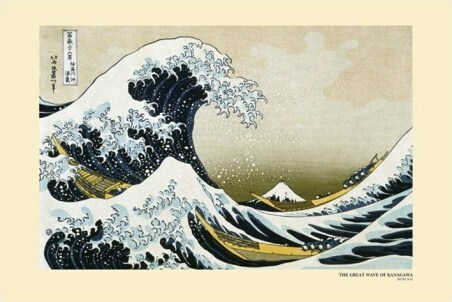 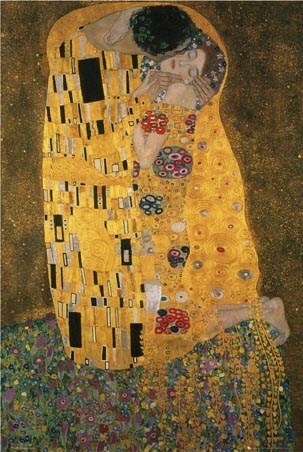 His style of painting was recognised as being some of the most fantastic post-impressionist work. 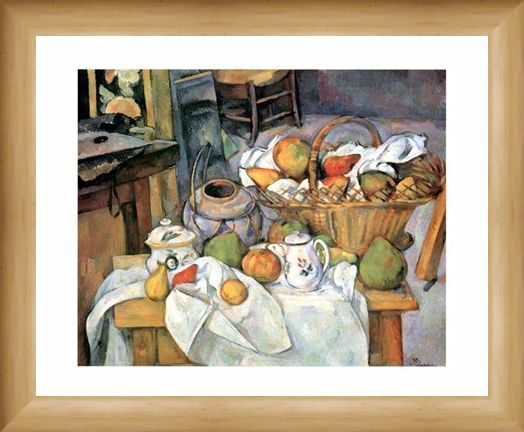 With his wonderful attention to detail and stunning use of colour, these apples, pears and oranges look delicious against a background of a traditional French kitchen. With lots of different aspects to behold, including a wonderful pottery vase, Cezanne has created a piece that is a joy to look at. 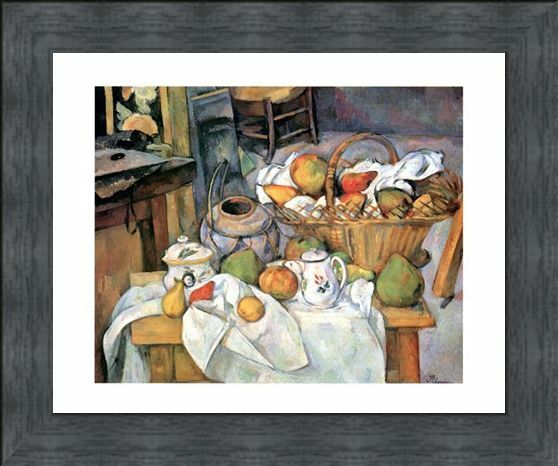 So if you love this Natura Morta, then why not hang this high quality mini print on your wall, and bring some French culture to your room. High quality, framed Natura Morta, Paul Cezanne mini print with a bespoke frame by our custom framing service.